Fire Exit Theatre proudly announces the winners from the 2018 Scripts on Fire New Play Competition. Our jury consisted of – Marianne Savell, Kelsey Krogman, and Barrett Hileman. Past plays include, Fritters in Kandahar (Lunchbox Theatre), Shelter From the Storm (Touchstone Theatre/Firehall Arts Centre/PTC), Afterglow (Dark Horse Theatre), Chainmail Bikini (Calgary Fringe). Peter holds an MFA from UVic where he studied under Joan MacLeod. 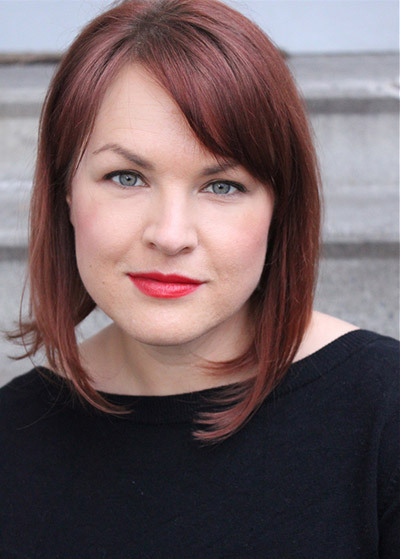 Krista Marushy is a Calgary playwright and theatre artist who appeared on the Fire Exit stage in Marion Bridge and How the World Began. She holds an M.F.A. in Playwriting from the Playwrights’ Lab at Hollins University and a B.A. in Theatre from Trinity Western University. Her play The Curiosity Cabinet (which she also produced & directed) premiered at the 2017 Calgary International Fringe Festival and was awarded “Best of Fest!” Other playwriting credits include Cultivation (Semi-Finalist Ashland New Plays Festival, Pacific Theatre), Honestly! (Pacific Theatre), Nellie’s Premier (Heritage Park / Rosebud Theatre), The Ristretto Proposal (T.W.U. ), and Secret Life Under the Stairs (published by YouthPlays). She was recently awarded an AFA grant and is currently at work on the upcoming project, The Bible Bender. Check out more stuff she does at marushydesign.com and her production company nakedthieves.com. At The Evergreen, a rural diner off the beaten track, an ex-pastor with a broken marriage takes pains to rebuild his life in a refuge of solitude. But when a secretive young woman divines information a little too close-to-home, and a series of coincidences prove particularly meaningful, two strangers are left to wrestle with the purpose behind their connection and their subsequent place in each others’ lives. A story of an unexpected intersection and stumbling upon someone who has strength to make you stronger. Watch a staged reading of “Evergreen” on Saturday May 5 7:30pm at Village Church Calgary (828 64 Ave NW) Tickets: $10 at the door. Marianne has been touring the one woman show The Amish Project and most recently served as the Head of the MFA Acting Program at Regent University. Marianne is an actor, director, and teacher. She received her MFA in Acting from the University of Illinois Urbana-Champaign where she graduated with highest honors and was a Guest Artist at the Central School of Speech and Drama, London. 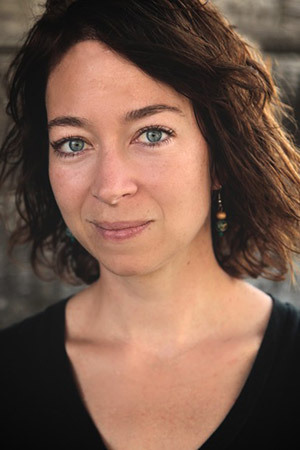 She is an alumnus and participant of Directors Lab West, an associate artist with Taproot Theatre Company in Seattle served on the Advisory Board of Provision Theater Company in Chicago and was the Producing Director of Actors Co-op theatre company in Hollywood, CA. Marianne was invited to the prestigious New Harmony Project to direct Margaret Hunt’s new play And The Ravens Feed Us. As a graduate of the Rosebud School of the Arts Mentorship Acting Programme, Kelsey holds a BA in English from the University of Calgary. Kelsey has co-created Wildwood Fire based on the life of June Carter Cash, as well as the devised outdoor campfire experience, Kasper Hauser: The Riddle of Refuge. She has adapted The Little Prince, The Great Divorce, and Rilla of Ingleside for the stage, as well as A Midsummer Night’s Dream, and a reimagining of Hamlet from Ophelia’s perspective in Ophelia’s Hamlet: In Memory Of. Barrett is a Calgary-based multidisciplinary theatre artist, performer, administrator, and educator. Recent acting credits include, White Rabbit, Red Rabbit (Square Cat Productions), Halo and An Almost Holy Picture (Fire Exit Theatre). Select directing credits include, Shadowlands (Fire Exit Theatre/Hit & Myth), Badger (Fire Exit Theatre) and State of Presence (Corps Bara Dance Theatre). 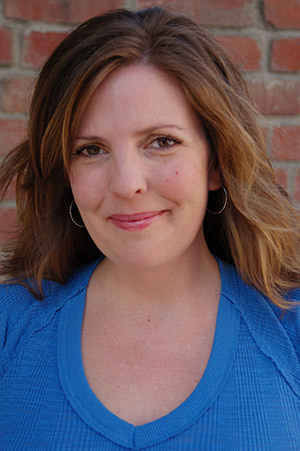 Since 2004, Barrett has been on the creative team of The Canadian Badlands Passion Play, including acting, directing and writing. 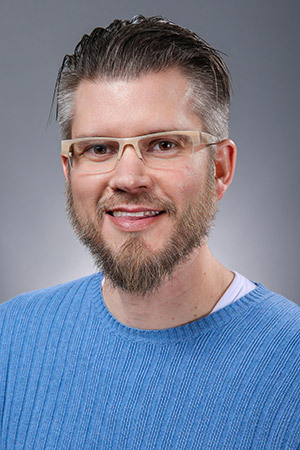 Barrett is currently the head of the Theatre program with Ambrose University and is the newly appointed Chair of the Fine Arts Dept. - Ambrose Arts. He trained at the American Academy of Dramatic Arts and holds an MFA from the New School for Drama.